Specialize in skills and technique for Cyclocross, Mountain biking and Road Racing. Bicycle fit and set-up. Long distance off-road events such as marathon Mountain bike and Gravel events. "Monthly performance improvement plans at multiple levels. One-on-one interaction when possible including technique assessment, skills acquisition and practice. Athlete-coach contact through multiple channels when applicable. Independent power file analysis and historical data review available a la carte." "I believe each athlete has there own unique potential. As an individual, each person deserves and should expect a custom tailored experience that meets their specific needs. Working closely with a coach that understands each athletes strengths and limiters is the most effective use of valuable training time. I work with cyclists that participate in many disciplines and categories. I personally compete in Road, Mountain and Cyclocross. I enjoy sharing those experiences and helping others achieve their goals. 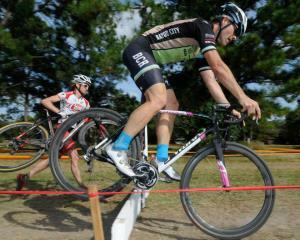 I work with local race promotors to continue to grow racing locally and introduce new cyclist to the sport. I conduct regular new rider skills clinics to introduce new riders to the basic skills they need, as well as hone the technique of advanced riders. I am a USA Cycling Level 2 certified coach. Training Peaks Level 2 coach and WKO user." I have a background in competitive motorsports and have trained athletes in most forms of two-wheeled competition. I am currently pursuing a graduate degree in exercise physiology. Success. Coach Scott Minard has been notified of your message.